Salsa for Beginners Level 1+2, Bachata All Level&Social Dancing! Rueda de Bachata is simply Bachata danced in a Rueda Structure to Bachata music. Some of the basic moves are similar to Rueda de Casino moves, whilst others have been created to suit the style of the Bachata dance. If you enjoy Bachata and haven’t tried this version yet, it is worth having a go simply to enjoy the variety. The music is great fun to dance to, and being generally slower than Salsa, there is more time to execute the moves. Bachata is a distinctive music and dance form which originated in rural areas of the Dominican Republic as a country dance for couples. 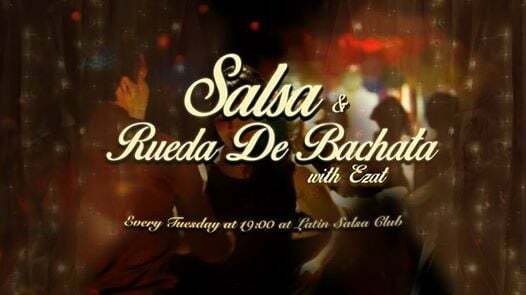 It has rapidly evolved in sophistication to become a mainstream and popular latin dance, largely supplanting Merengue as the DJs favourite way of varying a night of wall to wall Salsa (although now sharing dance time with Kizomba). Although still relatively uncommon, with relatively few few instructional DVDs or Youtube videoclips it does seem to be growing slowly in popularity. 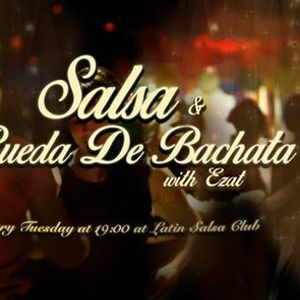 Salsa for Beginners Level 1+2, Bachata All Level&amp;Social Dancing!